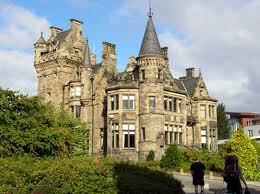 The University of Edinburgh will offer 40 Master’s scholarships for postgraduate study in any subject offered by the University for the 2013-2014 academic session. Fifteen scholarships will have a value of £5,000 each, while a further twenty-five scholarships will have a value of £3,000 each. These scholarships will be tenable for one academic year and will be deducted from tuition fees. The scholarships will be awarded to students who are nationals of countries outwith the EU who are accepted for admission on a full-time basis for a postgraduate Master’s programme of study at the University of Edinburgh. The closing date for applications for these scholarships is 1 April 2013. A Selection Committee will meet in May 2013 to select the scholarship holders. The winners of the scholarships will be announced in early June 2013. Demikianlah informasi mengenai Edinburgh Global Master Scholarships, University of Edinburgh, UK semoga berguna bagi anda.